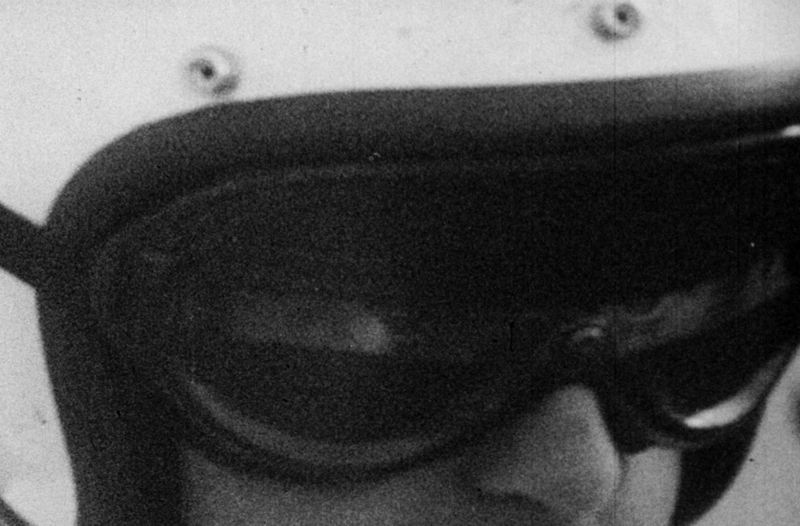 "A dandy study of an automobile racing driver... made in a notably fresh and stimulating cinematic reporting style"
"An excellent feature story told in TV terms. Mr. Sachs did not win the race -- his car had mechanical difficulties -- but he ran far ahead in an ability to communicate the mood and drive of his precarious livelihood." "Drew's vivid camera and on-location sound techniques...make this a gripping and highly expressive hour of video entertainment." "Auto racing, often no more than a blur of beetling insects and persistent angry roars to the disinterested onlookers, presented in personal, breathtaking terms"
One of Drew Associates’ early masterworks, “On The Pole” rides along with beloved American auto racer Eddie Sachs as he tries to capture his dream – to win the Indianapolis 500. Filmed in May, 1960, this was only the second film to use newly engineered cameras and sound recorders of Drew Associates’ design and to employ Drew’s novel editing methods, which conveyed a feeling of being in the middle of the action in a real-life drama. With intense concentration and intimacy, the film captures the overwhelming anticipation and fervor that builds as Sachs – one of the most charismatic drivers in Indy history – prepares to take the lead position in the starting lineup (or, “on the pole”) in the 1960 Indy 500. Piecing together scenes of before, during and after the race, the film offers a penetrating look at Sachs and the high-pressure world of racing, allowing viewers to experience what it feels like to participate in one of the world’s most dangerous sports. Crowther was right about the new film, titled “Eddie.” Though it did not play in U.S. theatres, “Eddie” did get a special four-week run at La Pagode Theatre, the most famous avant-garde cinema house in Paris, in March, 1962. It created a sensation. The top ten Paris movie critics rated it the best film to open in the city between January and April (besting “West Side Story”). Critics hailed “Eddie” and two other Drew Associates films screened with it (“Primary” and “Kenya”) for creating a revolution in motion pictures. The candid filming techniques, embraced by the French New Wave, were widely copied and became known as the American version of cinema verite, or direct cinema. Drew updated “On The Pole” one more time, after Eddie Sachs was tragically killed in a fiery seven-car crash in the 1964 Indy 500. That final film, titled “On The Pole: Eddie Sachs,” was issued on DVD in 2013 and is available for streaming at SundanceNow.com.